3e éd. corr. of "Pétain et le régime de Vichy". "Que sais je? ;, 1720" serie. Pétain, Philippe, 1856-1951., World War, 1939-1945 > France., France > History > German Occupation, 1940-1945., German Occupation, 1940-1945., France, France. 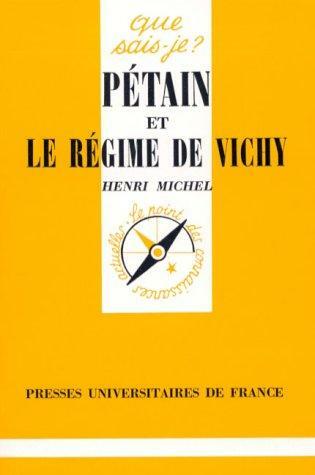 The Fresh Book service executes searching for the e-book "Pétain et le régime de Vichy" to provide you with the opportunity to download it for free. Click the appropriate button to start searching the book to get it in the format you are interested in.